September is one of the warmest month's in the city. I'm hoping that'll motivate me to blog every day for the entire month. I've done it before...I'll try to do it again. Today's journey brought me to Grace Cathedral in Nob Hill. We've driven by here dozens of times, so it was finally time to see it in person. Photo from Wikipedia. With this new lens, I would have had to stand about a block back to get a full photo of the Cathedral. I planned on it, but then forgot about it till I had already walked about a mile away. But it was a blue cloudless sky like this. 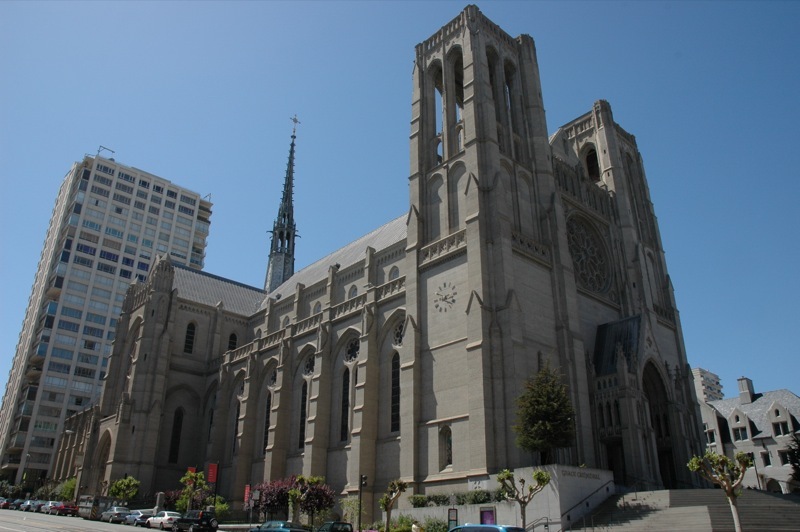 "Grace Cathedral is an Episcopal cathedral located on Nob Hill in San Francisco. 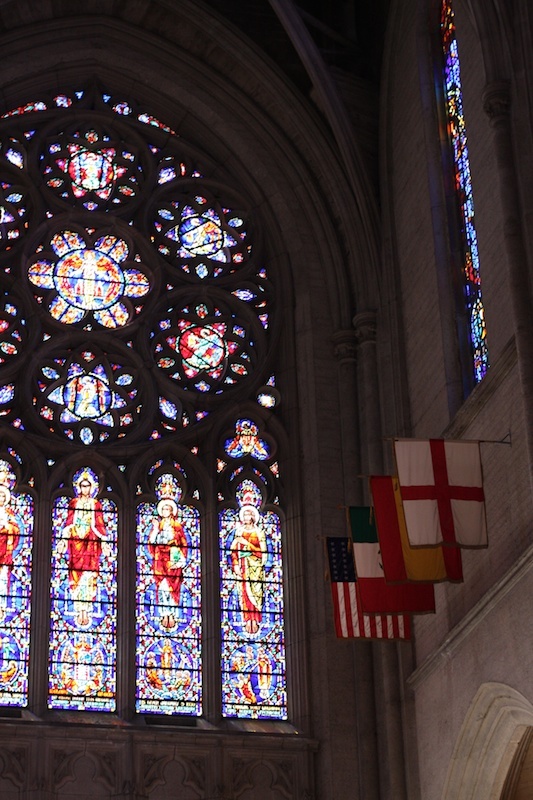 It is the cathedral church of the Episcopal Diocese of California, once state-wide in area, now comprising parts of the San Francisco Bay Area. 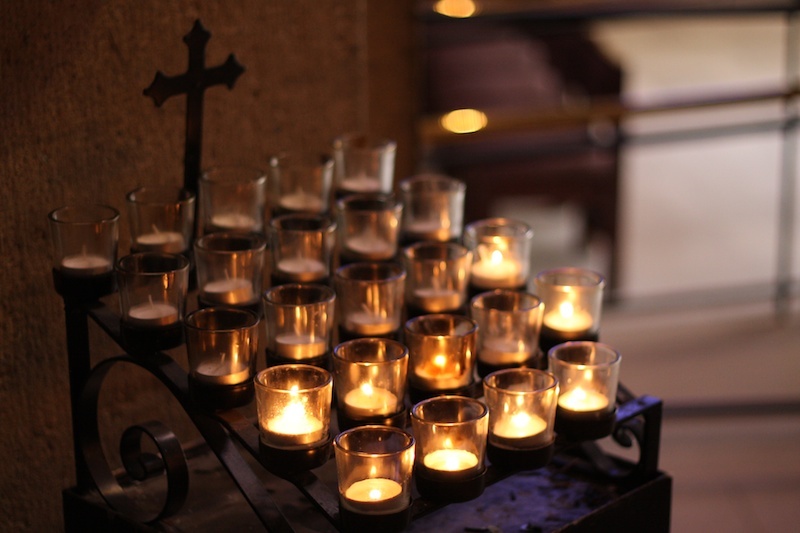 The cathedral community is known for its open-mindedness." 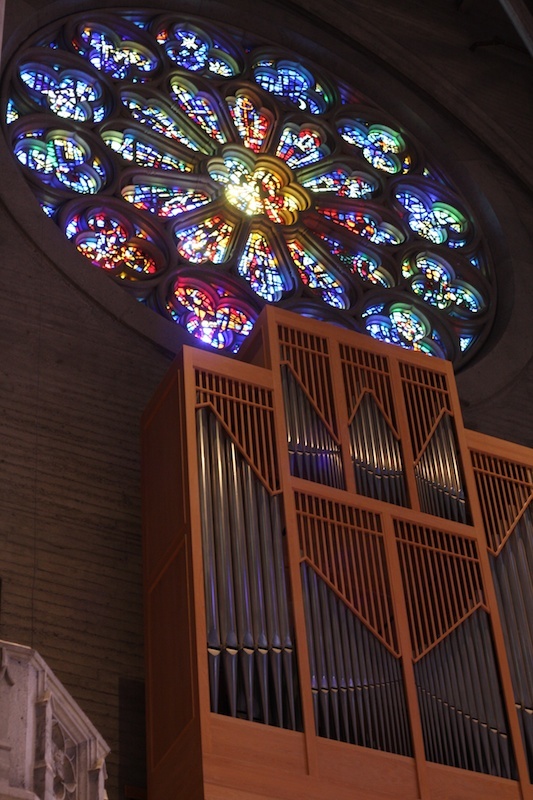 The large stained glass window at the front of the church and the pipe organ. 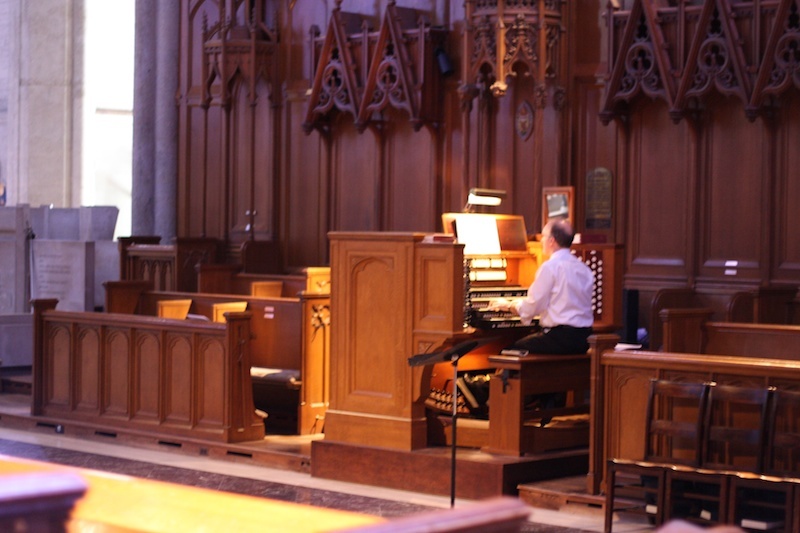 Grateful that the organist was there. 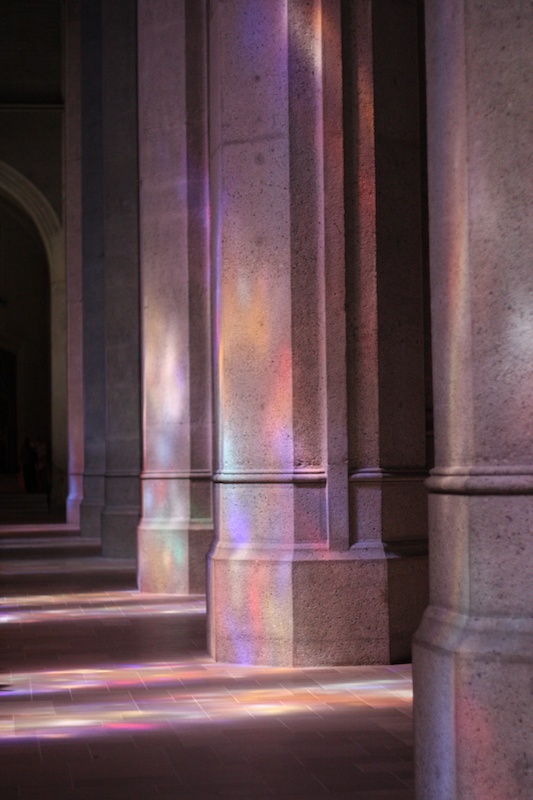 Light coming in through the stained glass windows. Parishioner praying in center of the cathedral's labyrinth. 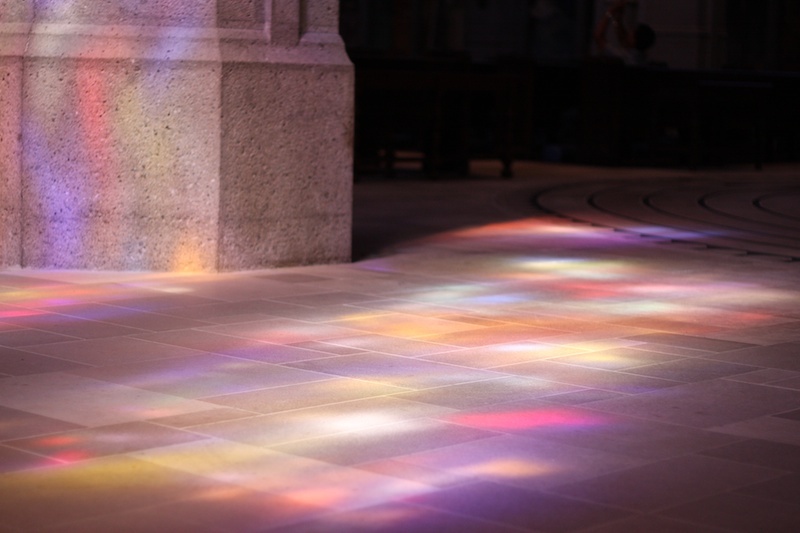 "Laid out on the floor of Grace Cathedral is a labyrinth that is based on the famous medieval labyrinth of Cathédrale Notre-Dame de Chartres (The Cathedral of Our Lady of Chartres) located in Chartres, France. It is said that if a visitor walks the pattern of the labyrinth, it will bring them to a meditative state. There is also another labyrinth outside of the cathedral in its courtyards."